The bend and curves of the Nairobi Pure Wicker Dining Chair creates the feeling that you are sitting on a modern porch or balcony sipping lemonade and relaxing in the warm sun. The unique curved sides make this chair stand out. 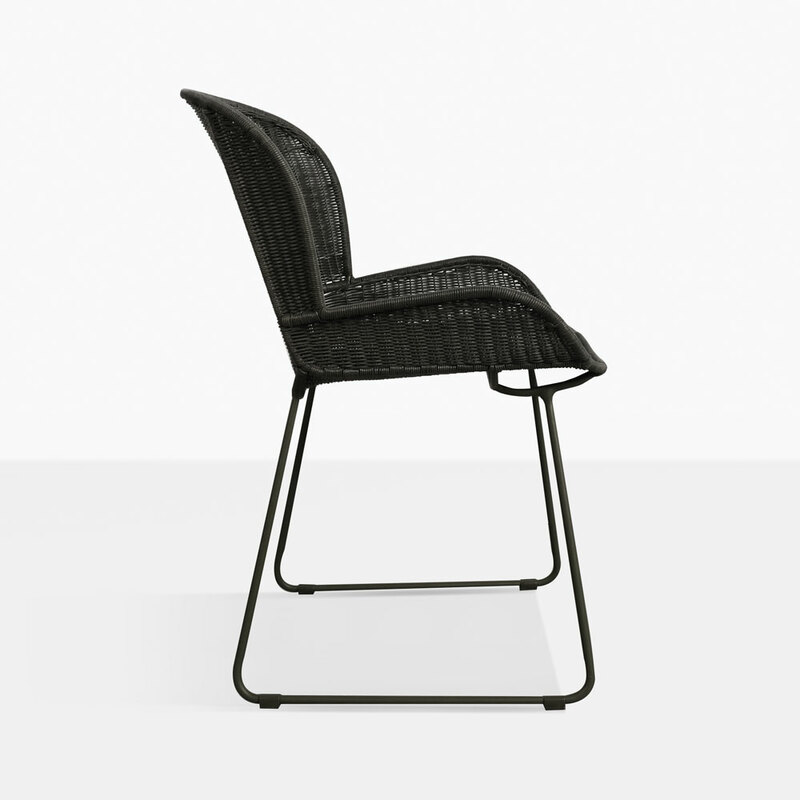 Use to compliment any of our outdoor dining tables, this chair is versatile enough to be at home nearly anywhere, whether it’s a city loft, patio, garden or indoors in your living room. Made of pure wicker and a steel powder-coated frame, the Nairobi Dining Chair, will give you the longevity you seek when decorating your space. 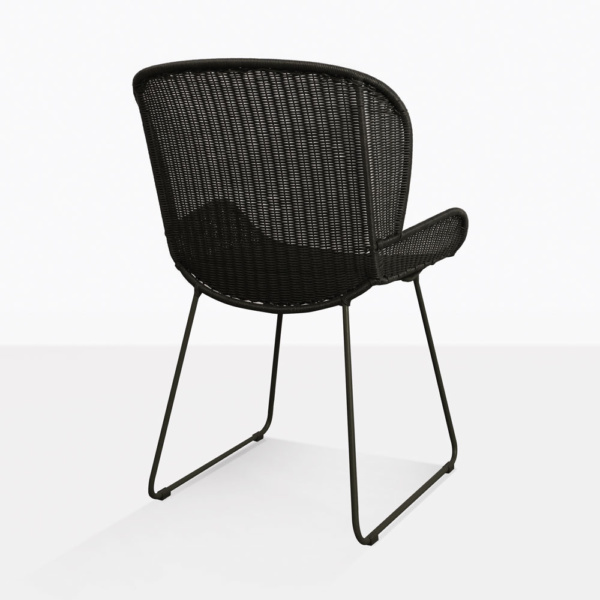 Our wicker outdoor furniture is UV and weather resistant. 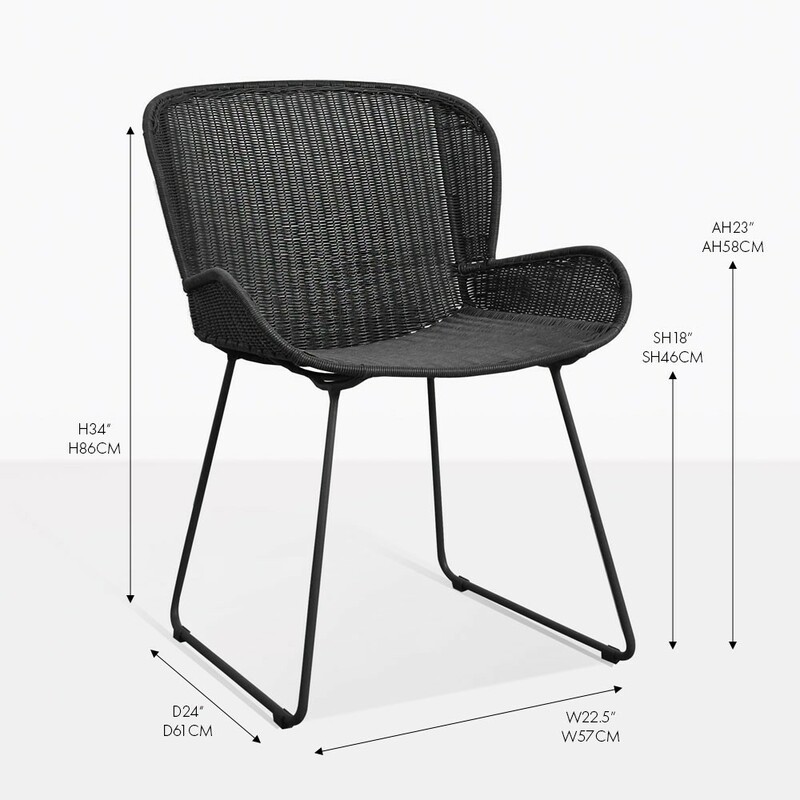 With proper care and maintenance these are chairs that can be enjoyed for years to come.